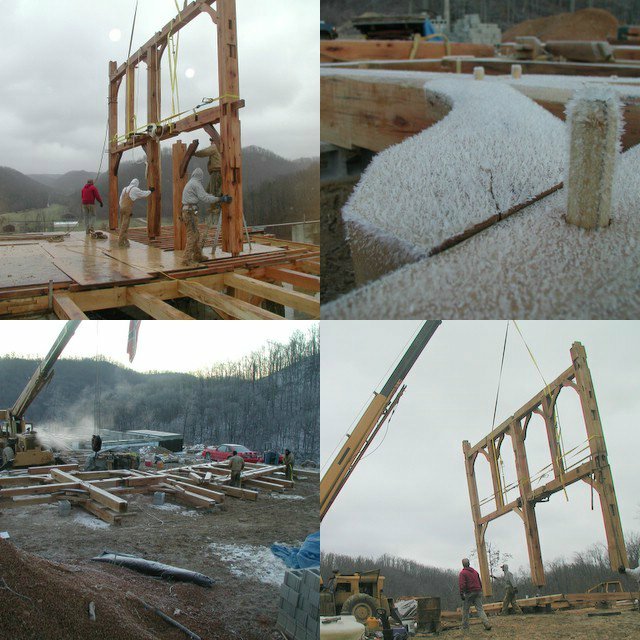 December in Kentucky was brutally cold, but with my barns full of notched timbers, the foundation done, and the deck in place, I was determined to start raising our frame. 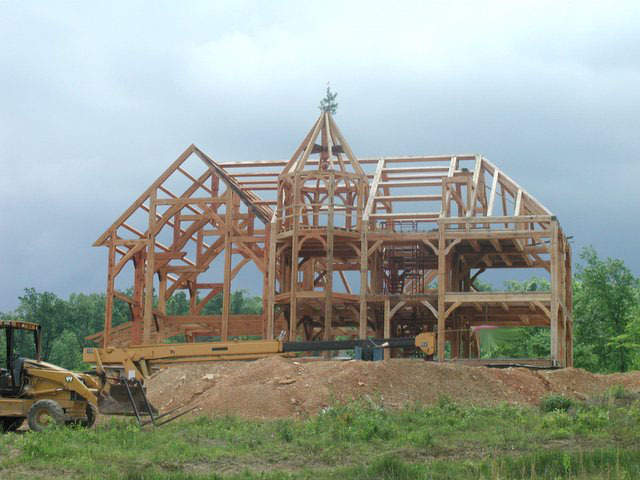 It was never my plan to raise the frame in the dead of winter - you see, I wanted to have the frame under roof by November and working on inside things - but nothing ever goes like you plan. We built bents A, B, and C on the ground. Locating the proper pieces of wood, moving them from the barns to the house site, sanding them, oiling them, and putting them together took most of December. But at last, by Christmas day, we had assembled 3 bents and had them laying within the crane's reach. During Christmas Eve dinner at my wife's parents', I recruited two of my brother in-laws and anyone else I could find crazy enough to work in the rainy drizzle on December 26. We raised the very first bent (bent C) on the day after Christmas!